We can almost feel the fashion in the air as the date and venue for the “Tresemme Daljit Sudan Fashion Runway 2018” is out. On May 14, the “Next Models Nepal” met to discuss the “Announcement Ceremony” of biggest solo runway in Nepal. 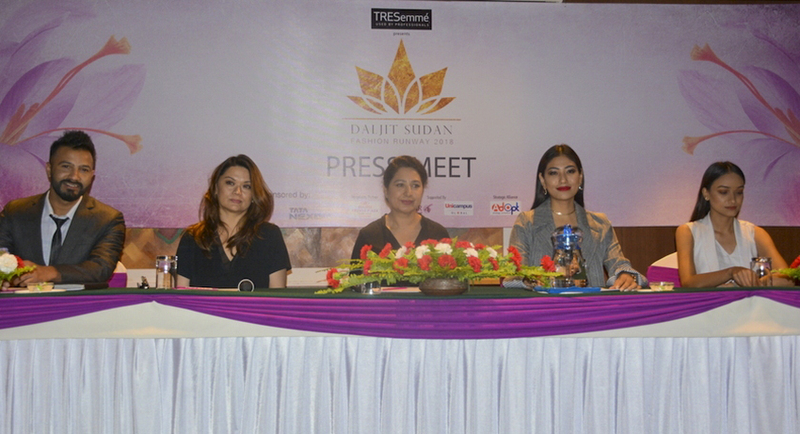 Some of the members present at the meeting included first Miss Nepal Universe Nagma Shrestha, chief executive officer of Next Models Nepal, Ravi Dhamala, choreographer and official trainer of Miss Nepal, Rachana Gurung Sharma, international fashion designr Daljit Kaur Sudan and 1st runner-up of India’s Next top Model season 3, Sabita Karki. A Revolution in Nepalese Fashion Industry portrait by a very creative international fashion designer Daljit Kaur Sudan with her very first solo fashion runway named as “Tresemme Daljit Sudan Fashion Runway 2018” where 8 male and 16 female professional models including Nagma Shrestha, Aastha Pokhrel, Sabita Karki, Sushmita Thapa will be walking on biggest runway in Nepal so far. 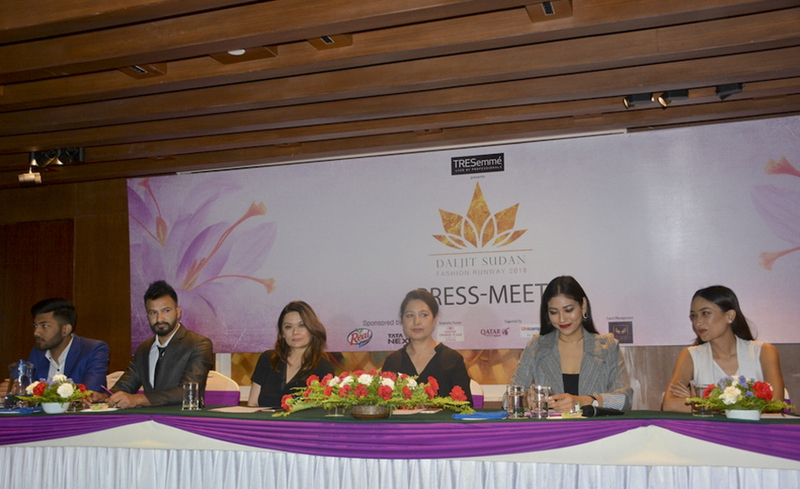 “Magic of Zaffran” is the theme of the event and chief executive officer of Next Models Nepal, Ravi Dhamala welcomes you all to witness first ever international standard fashion runway which is going to held on 25th May 2018. at Soaltee Crown Plaza.